Last year I came across a book called Rich People Problems – it seemed to be the book everyone was reading and talking about – all the time. So naturally I checked it out and realized that it was (unfortunately) the final book in a trilogy (of which the first book was Crazy Rich Asians). I say unfortunately because it’s always easier for me to pick a standalone book than one that is part of a series. I am usually more cautious about picking up a series because once I start I feel compelled to read the entire series (another one of my many bookish quirks). So I tread carefully. But then of-course there are some stories that sound so appealing that I don’t mind reading multiples books (if I have to). This just happened to be one such tale that piqued my curiosity. Actually no, to be completely honest, it wasn’t even that. It wasn’t the story (or the blurb) that made me want to read the novel, but something the author said. Kevin Kwan once mentioned that his intention in writing the book/series was to introduce contemporary Asia to the North American audience (or actually even the rest of the world). And I was like, yes please! It was a culture I was curious about but knew little to nothing about, and now I had the opportunity to see it from an insider’s point of view. So clearly I was all over it! And I couldn’t get to the book/series fast enough. The fact that Book#1 was getting adapted into a movie was simply icing on the cake I was already interested in gobbling up. So far (at the time I am writing this review) I have only read Book#1, so I can’t speak for the entire series, but for just this one book. And the best way to describe it is – The Real Housewives of Asia (Or at-least Singapore at any rate). Yeah that would be it. Insanely rich people living their ridiculously rich lives. With one twist though. There is also an “outsider” here (Rachel Chu) who is just about getting introduced to this crazy rich world (thanks to her boyfriend Nick, who is a part of it), which means we get at-least one POV that we can relate with (we = the rest of the NOT super-duper-crazy-rich world) amidst all the other folks whose accomplishments and struggles seem too out there to even completely grasp. That being said, this book was kind of different from what I expected it to be. I expected the romance to take center-stage, and while Nick & Rachel’s love story was an important component of the book, there was so much going on, that it did not even seem like the main component. And even when the spotlight was on them, I can’t say I really cared much about them as a couple, mostly because I felt like Nick’s character lacked depth, and the love story was mostly all tell, no show. The only reason I cared, even a little bit, whether they end up together or not was because of Rachel, who really grew on me. However, without giving too many details (to avoid spoilers) I have to say that there was this one other couple whom I did find myself rooting for, and I feel like their story will take prominence in the upcoming books, and I simply cannot wait to read it. The thing that dominated this book was the drama, a lot of over-the-top, sometimes aggravating drama. And yet I found myself thoroughly entertained through it all. I am not even entirely sure why, but I just ate it all up. Maybe I needed this exact brand of hyperbolic escape from reality, and I found it here. Whatever the reason, doesn’t change the fact that I found it a really fun read. However I think the thing I loved the most was the fact that this book/story was soaked in Asian culture, even though yes, it mostly highlighted only the extravagant lives of the super and the super-duper rich. But then that was to be expected, right? It was just living up to its name. Regardless, I loved the sneak-peek into a culture that is so different, and yet so familiar in many ways. Which now brings me to the titular question — is the book worth the hype? Is Crazy Rich Asians worth the hype? I would say, in many ways, yes! However it also depends on what you are looking for. 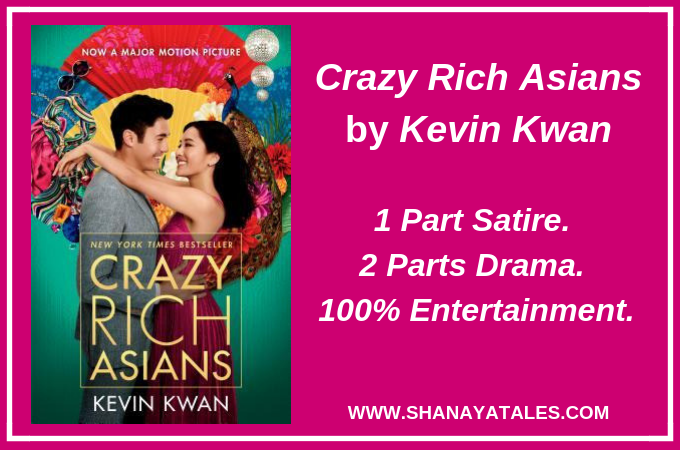 If what you are looking for is an easy, breezy, fast, fun, addictive, and entertaining read (that doesn’t take itself too seriously) – look no further, and pick up a copy of Crazy Rich Asians. That’s all from my end folks. I’d love to hear from you. 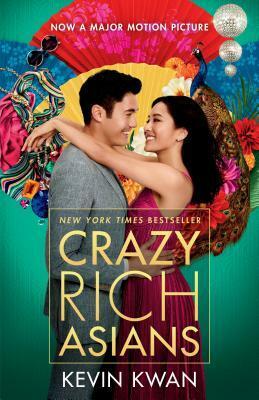 Did you read Crazy Rich Asians? Or see the movie? I personally haven’t seen the movie yet, but I’m looking forward to it, because I feel like this story will translate really well on screen (crazy rich life can make for some stunning visuals!!). But if you have read the book/seen the movie, I would love to hear what you thought of them. Ok Shantala I’ll go by your reco and read this book. Wonder if my library has it though. I watched the movie earlier this week without reading the book and without any expectations. It was funny no doubt but obviously predictable and kinda Bollywood-ish. Haven’t read the books and to be honest, not sure if I want to. It is definitely VERY bollywood-ish, so if that’s not what you want, you should skip this one. I like to keep fun, entertaining, relatively mindless reads in the mix for myself, because when life gets too stressful, these come in super handy for me. I hadn’t even heard of the book. So reading your review I feel this will be a fun read. Will check it out. Yep, this one is a fun read, very bollywood-ish though. Good for some relatively mindless entertainment, as long as one doesn’t take it too seriously. In Singapore, this book is everywhere. I’m yet to read it; after your review, I might just pass :). Thank you for your balanced take! Sounds terribly Bollywoodish to me! While it might be interesting to read about other cultures, somehow it doesn’t persuade me enough to pick this one up. Maybe I’ll watch the movie instead. This is definitely very bollywood-ish, so if that’s not what you are looking for – I’d skip this one. The movie might be interesting though. I am going to check it out for how the culture and the story translates on screen. Sounds interesting, Shantala. I feel the movie would be worth a watch after what you’ve described, as opposed to reading the book. Yes, this might translate better on screen. Definitely give the movie a shot! This reached my radar cos of the movie but it just struck me that this was an old fashioned 90s Bollywood movie, just set in Singapore. I am a bit surprised by the huge reviews the movie got, honestly. I feel it got a lot of attention because it was an authentic diverse read, especially for the intended (North American) target audience. Havent read or come across the Movie Shantala. though has traces of being an entertainer. !! This doesnt sound like my type of reading at all – so I will skip it. Just have to say that your reviewing style is just superb. The way you breeze through the Good, bad and the Ugly without sounding mean or miffed – quite an art! I really need to find a good library. There are so many books I want to read but don’t want to buy. Unfortunately our library is slow to get in the new releases. This one seems like a must pick up. I like light and breezy books between the big heavy ones. And the ‘Asian’ bit has me intrigued. I think you’ll really enjoy this Tulika. I hope your library gets it for you soon enough.